While foreign visitors are continuing to avoid the disaster zone, Japanese tourists are coming back to Matsushima, a fabled destination which locals say miraculously escaped the wrath of the March 11 tsunami. Despite the devastation of nearby towns and cities such as Ishinomaki, Matsushima, which sits in the heart of a 300-mile long swath of wreckage, is already welcoming a third of normal tourist arrivals, say local tour operators. Many visitors are amazed to see the town’s hotels, seafood shops and thousand-year old temples relatively unscathed, because smaller islands in the bay bore the brunt of 50-foot high tsunami waves from the open Pacific. Train services have resumed from nearby Sendai city, and hotels this week were fully booked with domestic tourists, as well as aid workers and reconstruction crews who park cranes and other heavy machinery in resort parking lots. 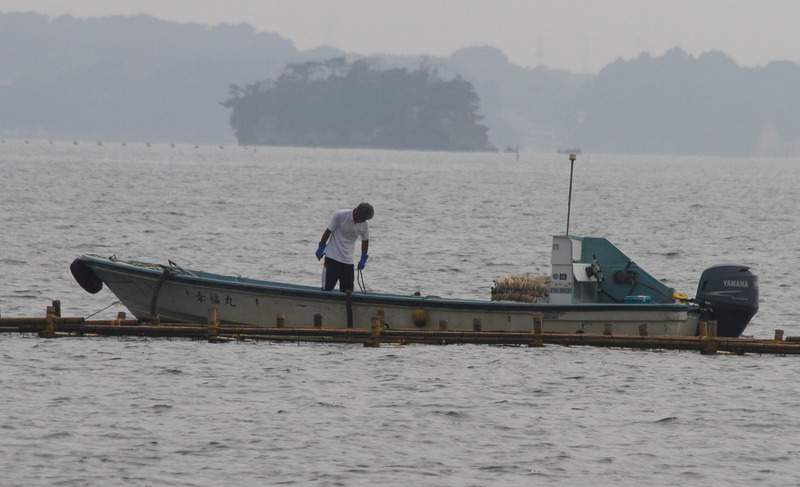 Thanks to Katsurajima and other barrier islands, the weakened tsunami was only about 6 feet high as it swept over the main dock in Matsushima, dockworkers say. 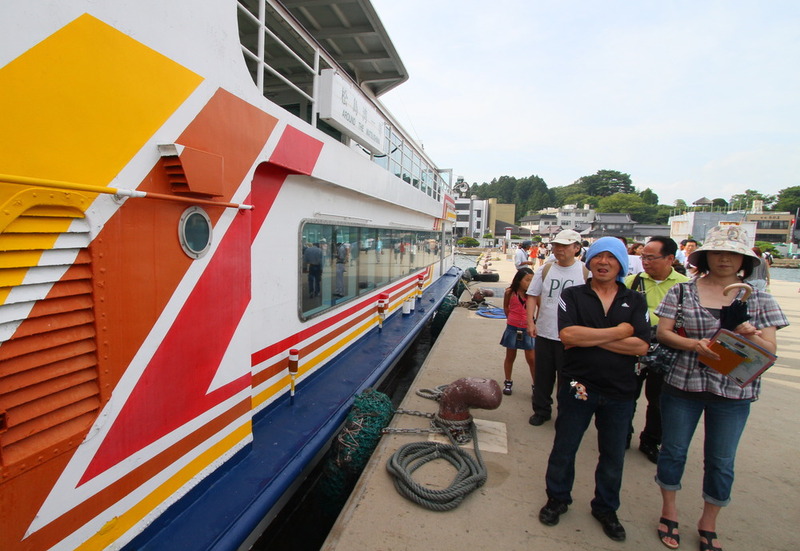 Koji Irakawa, a senior official overseeing tourism boat operations, says Matsushima lost 30 smaller boats, but the larger sightseeing boats survived intact. Thanks to volunteers efforts to help locals clean debris and mud off the dock area, the tour operators are now back in business during the peak summer season. Compared with last year, the total number of foreign visitors to Japan decreased by roughly 60 percent in April, 50 percent in May, and 36 percent in June, when only 430,000 tourists came to Japan, according to the Japan National Tourist Organization. Small traditional ryokan hotels, often run by senior citizens, have often suffered more than larger nationwide chains such as Toyoko and Tokyu hotels catering to the Japanese business crowd. The Foreign Ministry and Japan Tourism Agency are planning to help the Japanese Inn Group, which has 81 members nationwide including Sansuiso, to launch a campaign on Facebook to tell potential visitors about discounts in Japan. The United Nations has also tried to help Japan by recently granting UNESCO World Heritage status to Chusonji temple and other historical sites in Hiraizumicho in the hard-hit province of Iwate. The number of daily visitors to the temple, in the mountains outside the disaster zone, has recovered from 200 after the March 11 quake to about 4000 recently, a 30 percent increase over last year, according to the Yomiuri newspaper. The tourism industry in Fukushima province, on the other hand, has suffered greatly from fears of radioactive fallout in the air and food. Large and small resort operators even more than 50 miles away from the seaside nuclear reactors are reporting almost no tourist arrivals, though their rooms are often filled with “nuclear refugees”, especially children who aren’t allowed to play outside in towns closer to the plant. 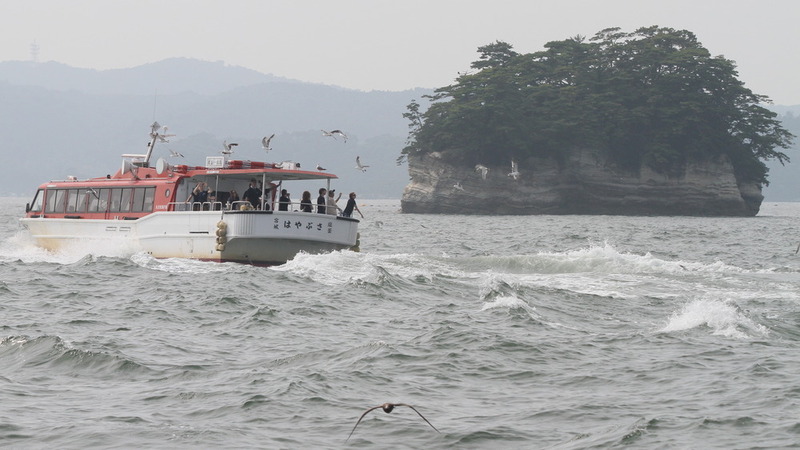 In Matsushima, the local tourist association says the number of visitors has rebounded from almost zero in March to about 30 percent of an average year. Though frustrating for many business owners, the minor recovery is at least providing badly-needed jobs for locals such as Mr. Doi and his neighbors on Katsura island.